Summary: A grandfather is walking with his two grandchildren. They notice how everything around them is busily moving: birds fly, the dog runs, a frog jumps, and dragonflies beat their wings. Grandfather suggests they sit and rest, so they find a seat on a bench under a tree. They notice the birds have quieted down, and their dog is taking a nap. The frog is sitting on a lily pad, and the dragonflies are resting nearby. 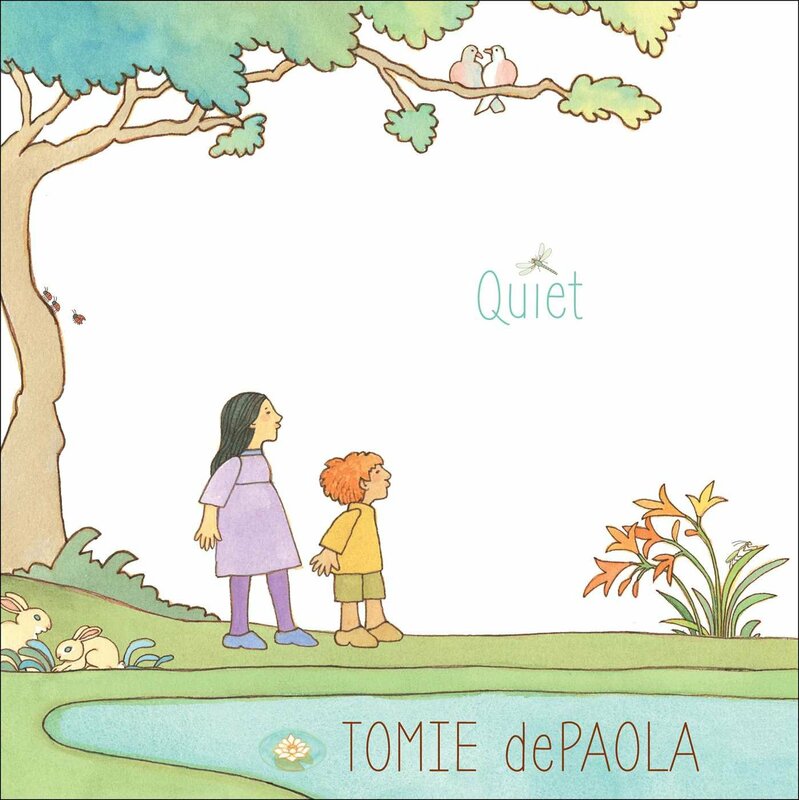 The kids notice they can think and see when they’re still, and the book concludes that “To be quiet and still is a special thing.” 32 pages; ages 3-8. Pros: A simple, quiet book to encourage kids to stop and be still once in a while. 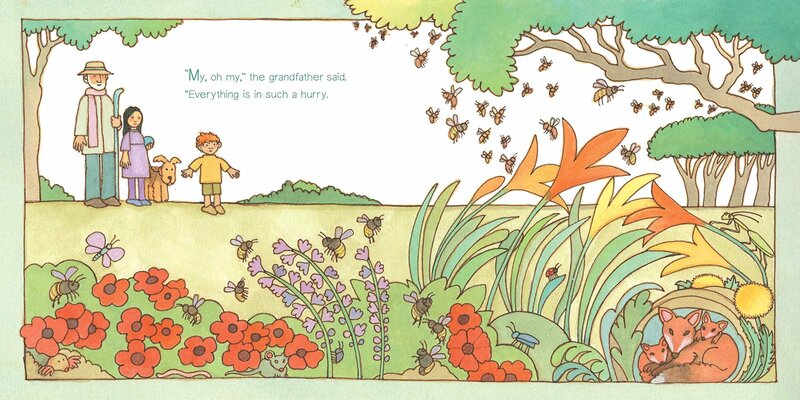 Tomie dePaola’s peaceful illustrations complement the text perfectly. Cons: There’s not much of a story, just a simple lesson. I guess if you’re dePaola sometimes plot can be optional. He’s earned the right for such creative license.